Managed hosting providers are under more pressure than ever to simply and securely connect tenants to their applications and data. Unfortunately, it doesn’t always turn out that way. Data centers are becoming more complex every day. While technologies like Software Defined Storage and Compute as a Service have enabled hosting providers to transform the tenant experience throughout certain areas of infrastructure, networks and network functions have lagged behind. Even with modernizations like SDN and NFV, little has been done to address the root issues plaguing networks. In order to grow their revenue and own their market, managed hosting providers need to build a new network services model. 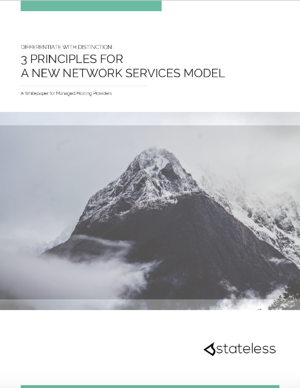 Now you can download your guide to a new network services model.